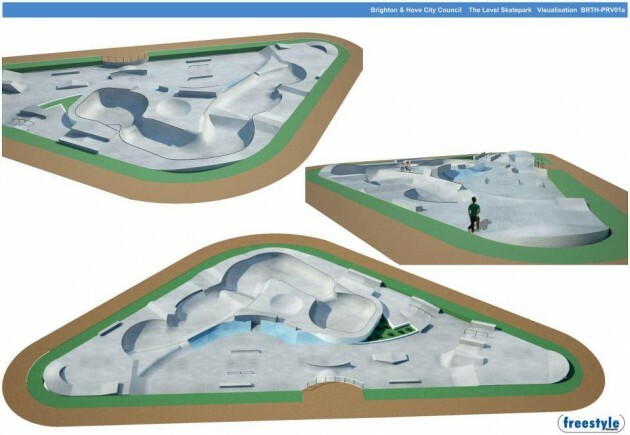 New plans for the Level Skatepark in Brighton are go! 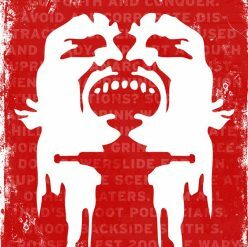 This afternoon’s meeting regarding the proposed plans for a new skate park at The Level in Brighton has been successful. 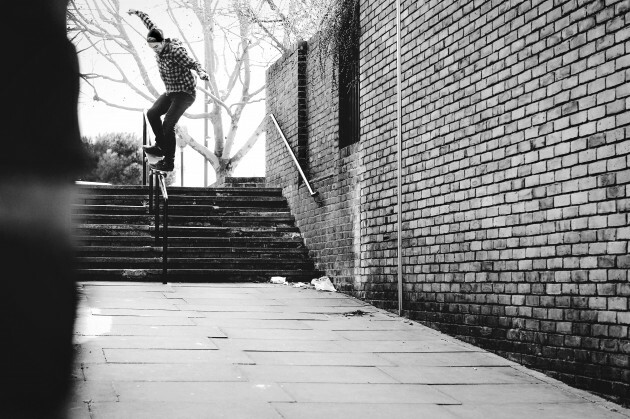 Freestyle‘s plans passed the planning stage which is great news for the locals. It means the build now moves into a new phase with work scheduled on the project looking likely to proceed in February 2013. 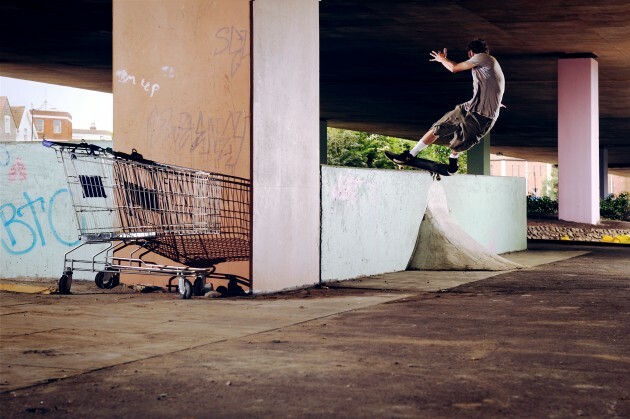 Worried locals thinking that they would end up with a smaller park should be happier knowing that the new build will come in at around 1400sqm as opposed to the current space that houses around 1200sqm of skate-able land. The new park will now move North of the hedgerow of the existing site and the design you see here will change slightly before the build starts but not too much. 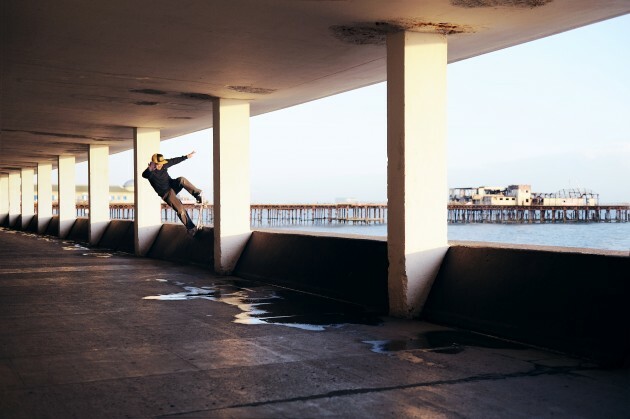 Congrats to the Brighton & Hove Skatepark Association and the locals for their massive efforts in getting this result and for persisting with the struggles they faced from all angles down there on the South coast. 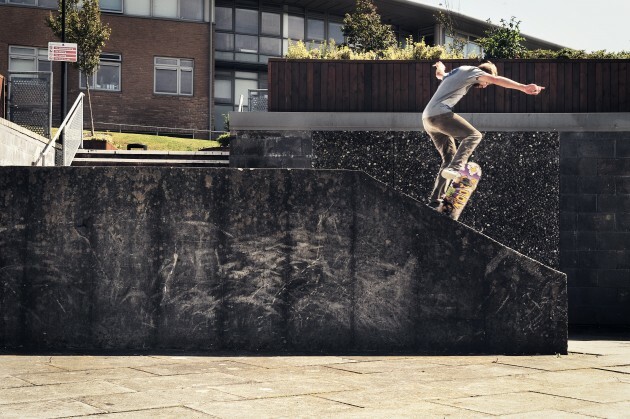 Brighton’s skate scene have deserved this news for a while. Here’s to the future.